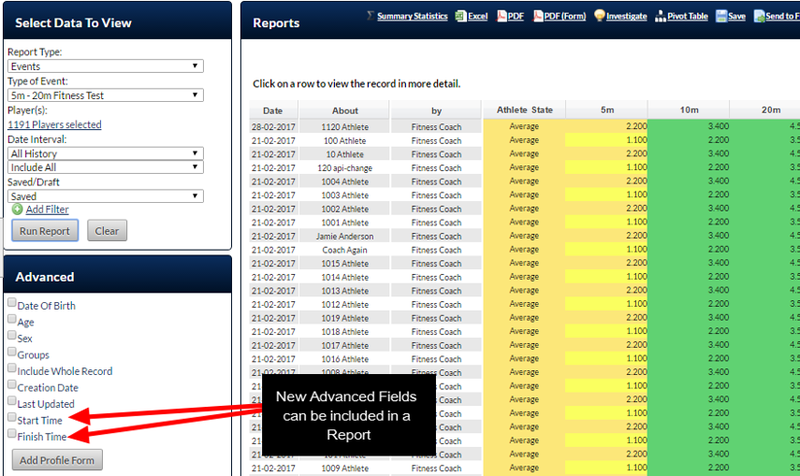 Enhancements have been made to enable users to add in fields into Event Forms to Track Start Time, Finish Time, Linked Time, and the Time calculations to work out the difference between these. 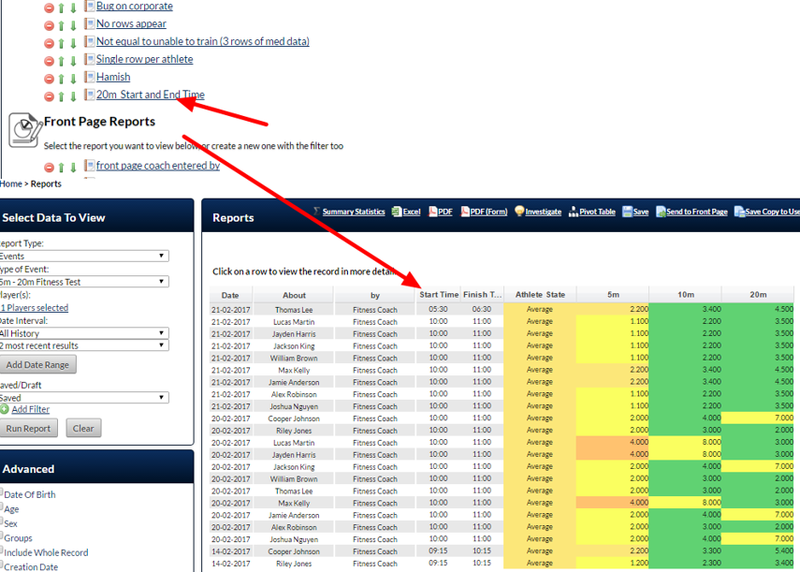 In addition to these enhancements, Start Time and Finish Time can now be added to a Report (even if they are not specifically tracked as Time Fields in the Event Form). N.B. 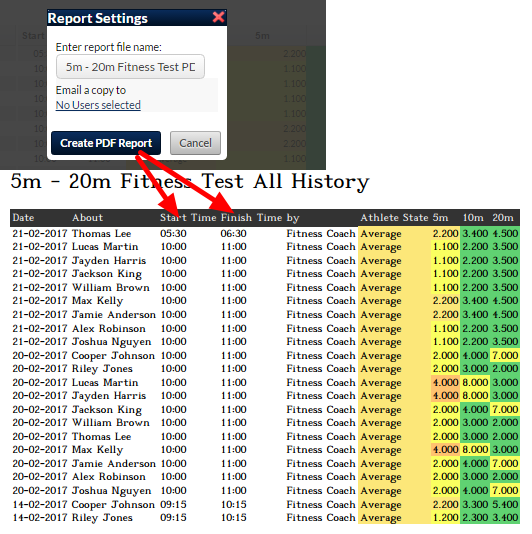 This 20 m form does not have separate Start and End Times tracked in the form. It only has the Event On Date. N.B. 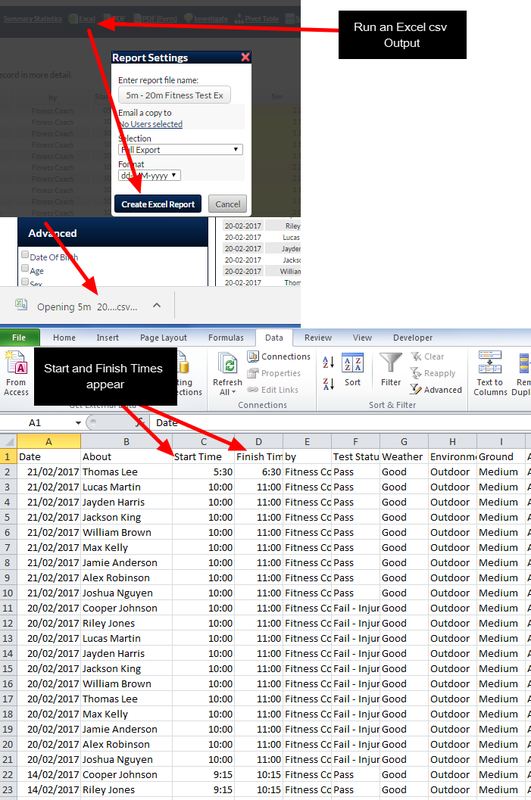 These can be used as Start and Finish Times for Event when importing in data (see the next lesson).